Historically, in Kansas City, the RBC has experienced a limited number of options as developers adhered to tried-and-true, garden-style, suburban communities. It was the strategy with the least risk and highest demand from residents and investors alike. This all changed with the higher standard of living brought about by an influx of baby boomers and millennials. Holding fast to traditional concepts about multifamily development is now to risk being left behind by the competition. Strong rental-rate growth, higher occupancies, increasing absorption and the widespread availability of low-interest financing have helped make the economics of building for the upper end more feasible. Five years ago, the highest rents for suburban communities were about $1.10 per square foot per month and rents in infill areas, such as the Country Club Plaza, were $1.25. Today, suburban projects, such as Mission Farms in Leawood, are achieving rents between $1.55 and $1.60 per square foot per month with infill projects, such as 46 Penn on the plaza and 51 Main in downtown, targeting a lofty $1.75 to $2.00. Currently, there are nearly 4,000 units planned or under development,and 2014 deliveries will be in excess of Kansas City’s historical average of 1,500 to 1,800 units per year. As employment in the KC area grows, demand in the RBC segment is forecasted to remain strong. Nearly all of the developments in the Johnson County and River/Crown/Plaza submarkets are targeted at the RBC demographic with luxury branding and amenities. While all quadrants of the metro area are benefiting from development activity, it comes as no surprise that 45% of all new units are being added in southern Johnson County with developments such as WaterCrest and CityPlace. The Rivermarket, Crown Center, and Country Club Plaza submarket are holding their own with nearly 29% of anticipated deliveries with signature projects that include One Light Tower, and the redevelopment of the Commerce Tower. In addition, other suburban submarkets, such as the Northland, Wyandotte and eastern Jackson counties, are also experiencing numerous high-end developments. 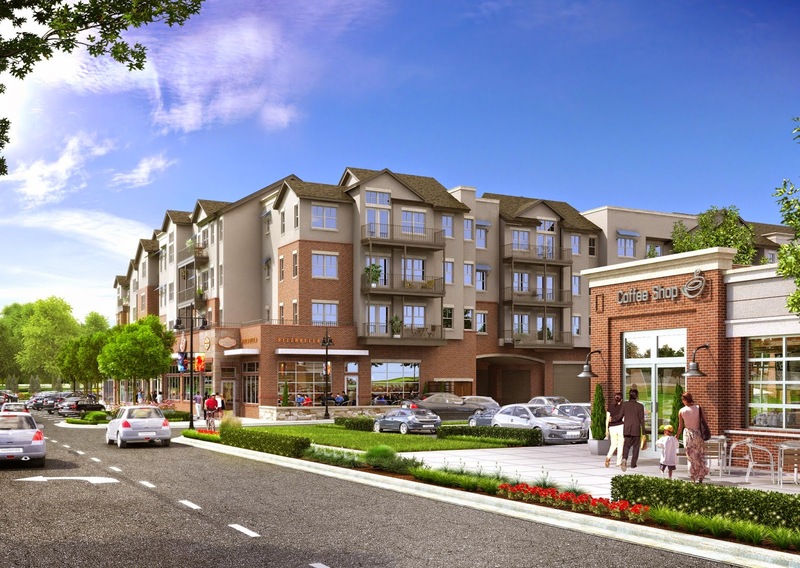 In keeping with the demand for access by RBC residents, nearly all of these suburban projects are located in close proximity to major retail trade nodes such as Briarcliff, Village West and Summit Woods Crossing. At no other time has the Kansas City area experienced the development of such a wide variety of new residential product types. They run the gamut from high-rise to garden-style with lofts, wraps and mid-rise in between. Competition for the most desired residents will bring more options, additional amenities and better planned communities to the renter by choice that will continue to elevate the bar for years to come.